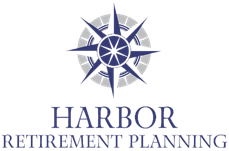 Harbor Retirement Planning is committed to provide comprehensive plan and participant services to all plan sponsors, regardless of size. With the new regulatory environment, many providers are literally walking away from the voluntary 403(b) plan marketplace, leaving employers struggling to find solutions. Harbor Retirement Planning's ongoing commitment to the employer-contributory (ERISA) as well as voluntary-only 403(b) marketplace, combined with our expertise in plan document and compliance services, gives you a one-stop source for all your 403(b) needs. And your participants will benefit from our high-touch, client-focused service model.